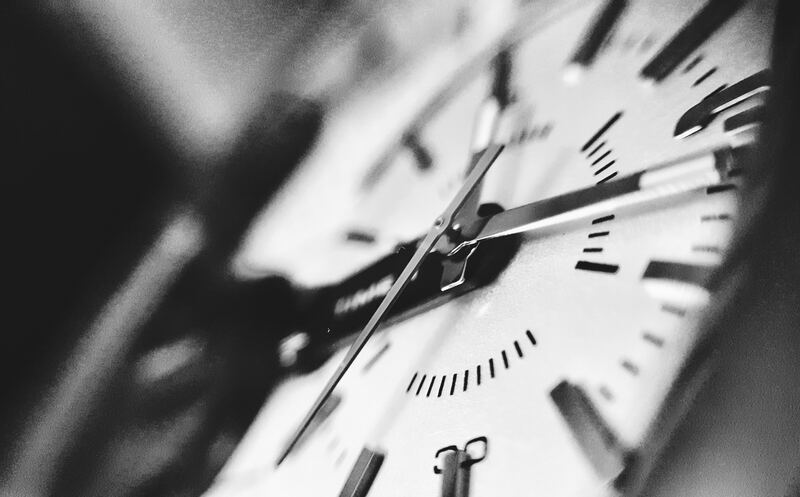 The primary aim of this post is to offer some additional insight into managing rest intervals. Before I dive into that, I want to rehash a few points pertaining to mechanical tension that I discussed a bit in one of my prior posts. In 2010 Brad Schoenfeld published a paper suggesting that the primary mechanisms for muscle hypertrophy are mechanical tension, metabolic stress, and muscle damage . Since then, there has been ongoing debate into the relative contribution of each mechanism, with an alternative model suggesting mechanical tension playing the causal role, with metabolic stress primarily augmenting recruitment (a fiber must be recruited to have active crossbridging and subsequent tension placed upon the fibers), and muscle damage more or less being an outcome of applied tension. When debating the relative contribution of mechanical tension and metabolic stress to hypertrophy, it’s natural to associate tension primarily with large magnitudes of absolute loading; the “heavy” work. In doing so, it’s often assumed something else must be responsible for the hypertrophy observed with higher rep ranges. These higher rep ranges happen to be metabolically stressful, thus reinforcing the belief that metabolic stress has a directly causal role. Beyond increasing fiber recruitment, potential mechanisms in which metabolic stress could exert a hypertrophic effect include cell swelling, increases in systemic hormone production, anabolic shifts in localized myokines, and increases in reactive oxygen species . That being said, to my knowledge the only research to date designed to isolate the effects of metabolic stress (via post exercise blood flow restriction), showed no additional effects on hypertrophy . While more research needs to be done examining the role of metabolic stress independent of muscle contraction, it has been suggested that its role in hypertrophy is likely augmenting muscle recruitment and subsequent tension . So if tension plays the star role, how are we achieving high amounts with light loads? In order to understand why this is one must first understand the basics of the size principle. We recruit muscle fibers based off of force demands. When lifting heavy loads (~80-90% 1 RM), our entire pool of muscle fibers contribute to force production out of the gate. Where in that range we fall appears to be dependent on the muscle group being worked . Smaller muscle groups appear to have a lower maximum recruitment threshold and thus rely more on increases in firing rates to meet force demands, while larger muscle groups tend to have higher maximal recruitment thresholds before they lean on increased firing rate to further increase force production . At more submaximal intensity ranges additional motor units are recruited on an as need basis in order to maintain force output . In application, its been suggested to expect the last 5 reps of a maximal effort set to be at full recruitment, and provide the majority of the hypertrophic stimulus. While this likely varies for reasons mentioned above, this seems to be a useful average to apply when conceptualizing the efficacy of protocols (if anything, I believe the threshold is sometimes lower, being that depending on the individual, one may be able to perform ~8-10 reps wit 80% of their max). In higher rep scenarios, lower threshold fibers begin to fatigue and cease to contribute . They can “drop out” leaving less fibers to shoulder the same load. The same workload spread across fewer fibers means more tension per fiber, and that is what matters. Being that the magnitude and duration (impulse) of tension we ultimately place on a fiber level is a major (if not primary) contributor to hypertrophy, and that tension is dependent on recruitment, we can begin to understand why rest intervals are a big player in all of this. They manage the fatigue that augments recruitment, which augments tension. Lets view the rest of this discussion through that lens. By now we know we can grow across pretty much any spectrum of loading so long as sets are taken close enough to failure/high enough relative intensity . We also have evidence showing a both a hypertrophic and strength advantage when using longer rest intervals vs shorter rest intervals when protocols are matched for number of sets, rep range, and for relative intensity . The advantage of longer rest intervals is likely due to the performance drop off often observe with shorter rest intervals. That last part shouldn’t come as a surprise. If you are less recovered, you won’t perform as well in subsequent sets. You will usually have to reduce the load to maintain the same number of reps and relative intensity, or perform less reps if you strive to maintain the load and relative intensity. Recently, I read an excellent write up in James Krieger’s research review where he developed a mathematical model based off of existing research to estimate the hypertrophic potential of different protocols depending on the reps performed within a set and the relative intensity (in this case he used reps in reserve, or RIR). The basic premise of James’ model is based on the concept that reps performed closer to failure possess a greater hypertrophic stimulus due to increased muscle fiber recruitment (up to a point). In and of itself, this certainly isn’t a new idea (as discussed briefly earlier), with perhaps the most well known application being Borge Fagerli’s “myo reps” idea. With myo reps, a fatiguing “activation set” precedes clusters of reps with short rest between them. The strategy is aimed to efficiently accrue volume under high levels of fiber recruitment, or maximizing “effective” or “hypertrophic reps”. What I feel makes Krieger’s model really cool is that it not only roughly quantifies the total number of “hypertrophic reps”, it also accounts for potential variances in loading and/or rest intervals. As a result, the model provides insight into the hypertrophic potential of different “intensity techniques” such as drop sets (no rest, reduced load) and rest-pause (short rest, static load). How exactly does his model accomplish this? Well, you should subscribe to his research review and read the article! But for sake of this blog post we know that in isolation, a 1 RM as the most stimulating type of rep possible for hypertrophy as its maximizes both absolute and relative intensity. In other words, each active fiber is shouldering the largest magnitude of tension that could be observed within a single rep. We will come back to this. In what scenarios should go with long(er) rest intervals? It likely depends on what type of performance we are striving to maintain. When trying to maintain a rep range and relative effort each set, results showing a benefit of longer rest intervals shouldn’t be all that surprising when you consider the drops in load that can occur as a result of shorter rest intervals. Despite maximal recruitment set to set, reductions in load lead to less tension being applied on the active fibers within each successive set. This answers the annoying question from before. Whether you are performing a 8-12 RM or a 25-35 RM your maximal strength is the same at the onset of the protocol. Remember how a 1 RM has the highest hypertrophic potential of any rep in isolation? If your 1RM is changing set to set as a result of reduced load then you can’t expect to see similar hypertrophy to a set/sets not “matched for fatigue/recovery”, even if the number of reps and fiber recruitment are identical. This can be observed in our previous example with each successive set pulling from a smaller 1 RM. So, we can see that when rep ranges and relative intensity (RPE/RIR) are the same set to set, short rests will often short change your results. That said, how common is this method in practice? 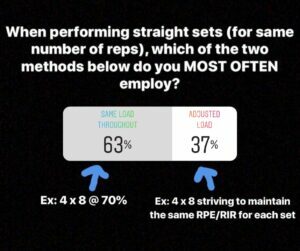 I know I rarely adjust loading set to set to maintain a rep count but perhaps some of that is as result of having a background in powerlifting, where straight sets with fixed percentages are common practice. In those cases, the RIR tend to drop set to set with maximal effort rarely occurring until the last set (if at all). I made a poll on The Instagrams and the results coincided with my hunch. So within my audience at least, I’m not alone. Why does this matter? Well since fatigue increases fiber recruitment, the residual fatigue from prior sets decreases the rep threshold for full recruitment in subsequent sets. That’s the entire premise of techniques like myo reps. In that sense, within protocols including straight sets with a fixed load, moderate amounts of fatigue actually work to our advantage if we are aiming to maximize the hypertrophic stimulus (so long as we still resting long enough to still meet the rep target set to set). Despite this, some lifters rest too long between fixed load sets and may compromise the amount of tension their high threshold fibers receive. How long you rest is going to be heavily influenced by the way your training is structured. Rest intervals are simply a way to manage your relative intensity in order to accomplish the balance you are aiming to achieve between the stimulus itself and the fatigue cost associated with it. You want your most effective players on the court as much as possible while giving them the recovery they need to turn up the following game. If the goal is to maximize the hypertrophy stimulus, rest long enough to be able to replicate the rep count set to set but not so long that you are compromising overall effective reps. Thus, assuming you start conservative, you generally want to see at least a moderate increase in relative intensity from your first to last set. For the example listed, I think a ~2-3 rep drop in RIR across the protocol would be a good place to be. In this scenario, when handling moderate to heavy loads, be wary of cutting your rest intervals too short (even with a “short rest” concept like rest pause) as it may decrease the amount of total effective reps you are able to rack up. The heavier the load, the less wiggle room you have before fatigue starts working against your objective. Let’s look at an example where each set of a 4 set protocol is taken to 1 RIR with 1 minute rest between: 85% x 6/4/3/2= ~ 14 total effective reps. What if we had rested 2 minutes? 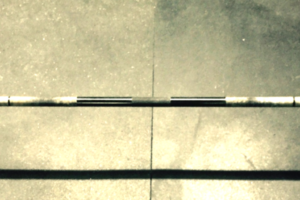 Perhaps you get something like 18 total effective reps…. Still time efficient? I would think most would agree. Worth the extra 3 minutes of your time for significantly more effective volume? Probably. At least over time. Conversely, there are instances with lower load/higher rep work where maximizing rep performance in subsequent sets likely has little to no additional impact on the overall stimulus you are receiving. With higher reps you can often “afford” the rep endurance drop off without sacrificing effective reps (or load). To illustrate this, lets use a 4 set protocol with each set taken to 1 RIR, while resting 1 minute between sets: ~30% x 25/20/15/10= ~ 20 total effective reps. Now lets say we instead rested for 30 seconds: ~30% x 25/12/7/5=~20 total effective reps. Despite the reduction in total reps performed, the stimulus is likely similar. As a general rule, the higher the number of reps performed with a given load, the shorter rests you can get away with set to set without a meaningful compromise in training stimulus. This is the style protocol used in a lot of the research. As we discussed previously, short rests don’t necessarily compromise the effective reps, but more so the capacity of tension that could be placed on the active fibers within that rep range. Rest as long as you need to turn up the best performance you can. Like anything other training variable, context needs to be applied when assigning rest intervals in order to optimize the outcome we are after. When we think increased performance we generally think either an increase in load and/or reps. Acknowledging the differences in how they will impact the stimulus will help you avoid a reductionist view. So long as we aren’t compromising the overall amount of “hypertrophic” or “effective” reps at a given load, then we likely aren’t compromising the hypertrophic stimulus.